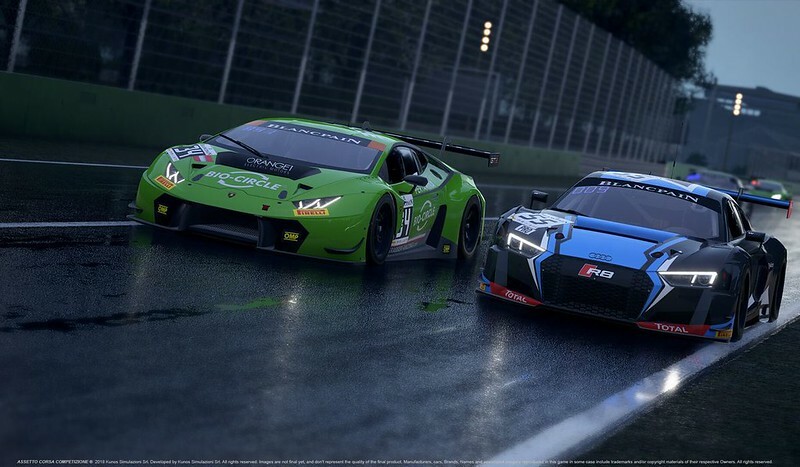 Under normal circumstances, Release 6 of the Assetto Corsa Competizione Early Access version should be released this coming Wednesday, February 13yh bringing us the Honda Acura NSX GT3 and the Monza circuit. However, today Kunos Simulazioni announced that the new release will be postponed by a week. Due to some extensive re-programming of the gameplay logic elements related to session handling, race timing, and penalties, the development team needs a little more time to make sure all the latest improvements work as intended. Furthermore, Kunos Simulazioni also stated that the 2018-spec Honda NSX GT3 car model which was planned to become available in release 6 will be replaced with the 2015 and 2018 Nissan GT-R Nismo GT3 cars. Apparently, the Honda NSX package requires more time to be finalized and is now scheduled to be included in the release version of Assetto Corsa Competizione.